I want to start of this review by saying that you should not let the title of this Ella Publishing eBook turn you away if you are not a single person. 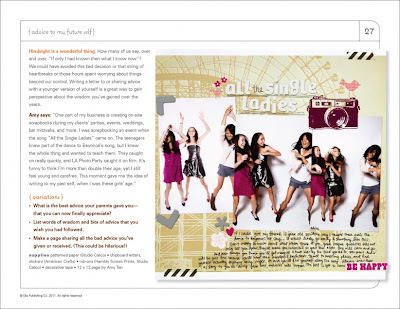 Even if you are married or in a serious relationship, Scrapbooking Your Single Years is sure to offer you a wealth of new topics that deserve a spot in your scrapbooks. The subtitle of this book is "88 spectacular page ideas for current and former singles" and it certainly delivers. In fact, I have been with the same guy (7 years dating and 11 years married) and I took away dozens of ideas from this book that I certainly hope to create layouts with. Frankly, no matter how committed you may be to your significant other and/or children, everyone must be careful not to lose sight of the history and characteristics that make you who you are...outside of those relationships and commitments. 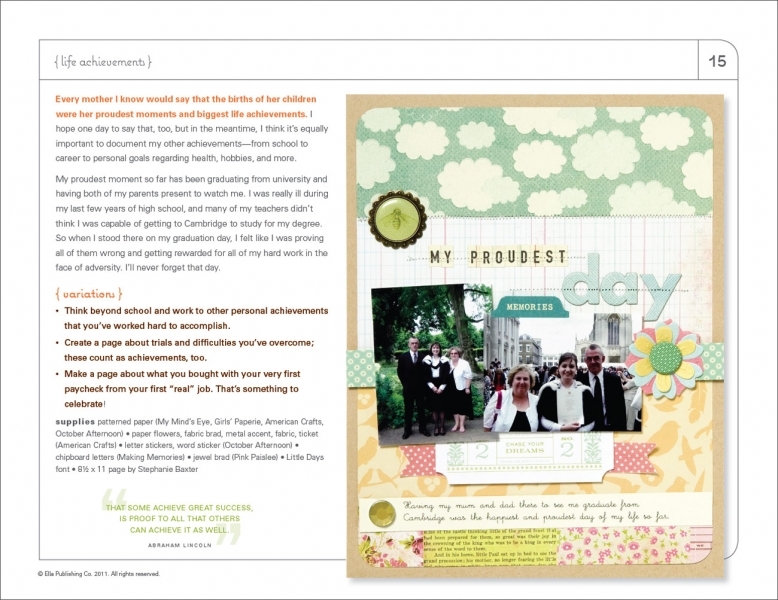 In the introduction, the author, Stephanie Baxter, shares her belief that although our family will certainly appreciate the moments and memories that we have captured about them in scrapbook pages, they would also certainly appreciate knowing more about the person that created them (perhaps even more so, in fact). "What was she like when she was younger? What was her life like before she settled down, got married, and brought me into the world? Can I see similarities between us at the same age? What qualities or interests have I inherited from her?" This book gives you all the ideas you'll need to answer all of these questions and more for everyone in your family. In this Ella eBook, the author and 9 other extremely talented scrap artists share 22 layout samples to illustrate their examples of how to capture the essence of who you are and where you came from. Each one comes with several other fun variations that you could use to stretch their ideas even further, encouraging quotes to inspire you to start documenting your single life as well as many mini-albums topics ideas. 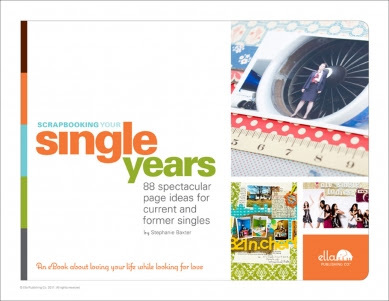 Scrapbooking Your Single Years is certainly another great title from Ella Publishing! 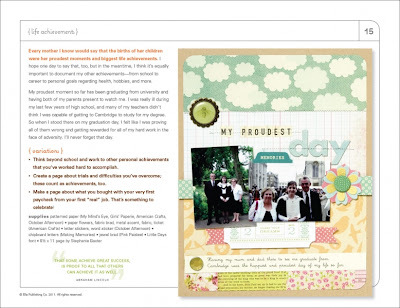 Do you find it easy or difficult to scrapbook about yourself? Why?